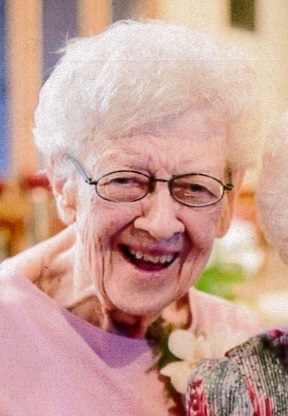 Obituary for Mary Agnes "Dolly" Watzlaf | Frank F. DeBor Funeral Home, Inc.
Age 95, of Brookline, on Saturday, January 19, 2019. Beloved sister of Thelma R. Lippert (Watzlaf) and the late Henry Watzlaf; daughter of the late Rose and Henry Watzlaf; special aunt of John R. (Jane), the late Richard H., the late Cheryl Lippert McMillan, Donna L. (James) Zacchero, Diane (Tom) Samstag, Kevin (Tina) and Gary (Lois) Lippert; also survived by 14 great-nieces and nephews. Family and friends will be received at the Frank F. DeBor Funeral Home on Tuesday, January 22, from 2 to 4 p.m. and 6 to 8 p.m. A Mass of Christian Burial will be celebrated on Wednesday, January 23, at 10 a.m., in the Church of the Resurrection (Brookline).